A group of hackers will stand trial today for wire fraud associated with Electronic Arts' FIFA series, thanks to an FBI investigation. The case alleges that Anthony Clark and his co-defendants extracted between US$15 million and $18 million from the scheme, which centred around the game's controversial in-game currency FIFA Coins. 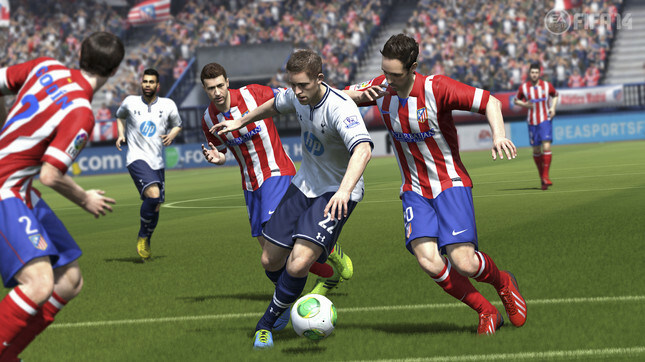 FIFA coins are used to purchase player packs, and can be earned via gameplay or by purchasing them with real money. As a result, a sizeable black market has sprung up for the trade of FIFA coins. Clark and company, so it is alleged, generated huge numbers of FIFA coins by using software to spoof match reports to EA's servers, then going on to sell the coins to Chinese and European dealers. The scam allegedly ran from 2013 until September 2015, at which point the FBI seized cash, bank accounts, sports cars, and computer hardware from the group, known as RANE Developments. Also charged in the case are fellow hackers Nicholas Castellucci, Eaton Zveare, and Ricky Miller, the last of whom pled guilty in October. The FBI uncovered the scheme thanks to cooperation from a member of fellow hacking group Xbox Underground, who helped Clark and his co-defendants reverse-engineer FIFA 14 using Xbox development kits and an app called Interactive Disassembler. The trial begins in Fort Worth, Texas, today.